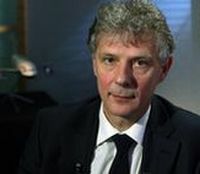 John Leahy, effectively Sales Director of Airbus, was in fine form last week when he gave the annual “State of the Nation” Global Market Forecast 2011-2030 in London. Of all the plethora of statistics and data given perhaps the most interesting was a statement that the airlines are consuming just 3% more fuel than 10 years ago and carrying 45% extra passengers. Airbus did not give predictions for a decade ahead but with the average size of aircraft increasing year by year (with the arrival of more A380s) the fuel burn could be negative by 2020. Along the same “environmentally friendly” lines he noted that average passenger load factors had risen from paltry 54% at the start of the 747 era 40 years ago to 78% in 2009 and rising. 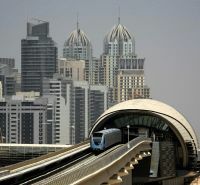 Exactly two years after the inauguration of its partially underground driverless rail system, known as the 'red line' and serving the current international airport, Dubai Metro has opened its 'green line' serving the Dubai Creek on both banks. Initially 15 miles long the line has 18 stations, with two more to open. At this stage, with a total length of 43 miles it vies with London’s DLR as the world’s longest fully automatic railway system, but there are plans for further extensions. It is partially underground. The new line is expected to carry 120,000 passengers daily, the original track now up to around 180,000. The system is operated by the British company Serco. A new, personal airport guidance display card, developed by Agaidi, is currently being piloted at Helsinki Airport. For the next month or so transfer passengers with a tight connecting time will be met at the gate and provided with the card, which will guide them quickly and easily to their boarding gate. 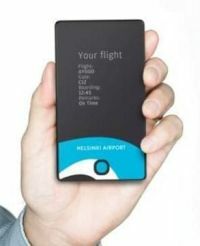 The light and thin card shows personal, real-time flight information to passengers and keeps them updated about, for example, boarding times and estimated walking time to the gate. The goal of the pilot is to optimize capacity utilization by managing real-time passenger flow and to locate passengers arriving late to the departure gate. In addition, passengers will get information about services, such as cafés, restaurants and shops. Lufthansa is to introduce a five times per week Mexico City to Munich service from 26 March 2012 supplementing the daily flights already operated by the carrier from Frankfurt. "We are delighted to be able to offer a connection from our Munich hub to Central America. In economic terms, in particular, Mexico is gaining in importance for the Bavarian market," says Thomas Klühr, Lufthansa German Airlines Board member. Flights will be operated by a three-class Airbus A340. 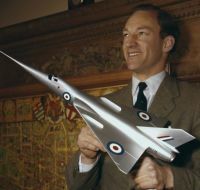 To a younger generation the name Peter Twiss may mean nothing but for those who remember the 1950s the five times married former Royal Navy pilot was a true British aviation hero and a holder of the World Airspeed record, the first man to fly over 1,000 miles per hour. On 10 March 1956 piloting the Fairey Delta 2 Twiss broke the World Speed Record, raising it to 1,132 mph (1811 km/h), an increase of some 300 mph (480 km/h) over the previous record. As a test pilot for Fairy (later taken over by Westland) he also flew the remarkable and advanced Rotodyne, the forerunner of today’s Chinook. Peter Twiss passed away on 31 August aged 90. Rolls-Royce has won the contract as engine supplier to the Japanese airline Skymark for its six Airbus A380s, the first to enter service in 2014. 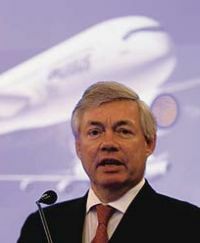 Skymark is a new customer for Rolls-Royce, and the carrier is the only Japanese carrier to date to order the aircraft. It was established in 1996 as a budget carrier and currently operates a 20-strong fleet of Boeing 737-800s on Japanese domestic routes. It says it plans to expand internationally with the A380, including Europe. A two-class 400-seat cabin layout is envisaged. The aircraft will be powered by Trent 900, the contract calling for Rolls-Royce 'TotalCare' long-term engine service and support package. Trent 900 engines powered the very first A380 to enter service in 2007 and have now been selected by 11 of 16 airlines who have ordered the aircraft. 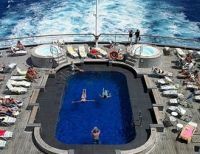 Hyatt is to open two brand new hotels in Vladivostok, Russia’s largest port on the Pacific Ocean. The Hyatt Regency Vladivostok, Golden Horn and Hyatt Vladivostok, Burny, which will be the third and fourth Hyatt-branded hotels in Russia, are under construction and expected to open in advance of the Asia-Pacific Economic Cooperation (APEC) Summit in the autumn 2012. 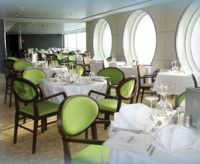 The Hyatt Regency Vladivostok, Golden Horn will feature 217 guest rooms and suites, food and beverage outlets, a spa and health club and banqueting and meeting facilities. Located at the Korabelnaya Embankment in the city’s central business district, the property will be situated along Svetlanskaya Street – the city’s 'High Street' – with the back of the hotel directly facing the Golden Horn Bay. Guests will be within walking distance of the city’s main government and business buildings as well as its exclusive shoreline. A grizzled old man was eating in a truck stop when three Hell's Angels bikers walked in. The first walked up to the old man and pushed his cigarette into the old man's pie, and then took a seat at the counter. The second walked up to the old man and spit into the old man's milk, and then he took a seat at the counter. The third walked up to the old man and turned over the old man's plate, and then he took a seat at the counter. Without a word of protest, the old man quietly left the diner. Shortly thereafter, one of the bikers said to the waitress, "Humph, not much of a man, was he?" The waitress replied, "Not much of a truck driver either. He just backed his wagon over three motorcycles." easyJet, the largest operator at Bristol Airport from where it currently serves 42 destinations, has confirmed the addition of a new route to Naples. 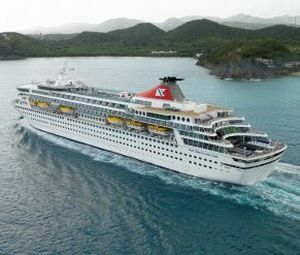 Bookings have opened and the flights will operate three times a week (Tuesday, Thursday and Saturday) starting 12 May 2012. Naples, Italy’s third largest city, is very popular with visitors thanks to its lively atmosphere and close proximity to some famous landmarks. Mount Vesuvius and Pompeii are both easily accessible from the city as well as the islands of Capri and Ischia. The railway runs along the coast via Vesuvius to Amalfi which make Naples a good base for exploring. Now in its fifth year, Future of Business Jets Conference will be hosted by London’s Thistle Hotel, Marble Arch, 2-3 November 2011. It will build on the success of previous years’ events by once again bringing together senior industry figures to network and debate key issues. 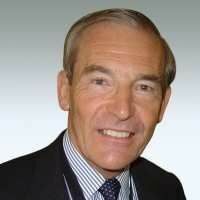 Chairing the sessions is AERBT contributor and specialist aviation lawyer Sean Gates. The two-day event will once again focus on regulatory, legal, financial, insurance, and technical issues. 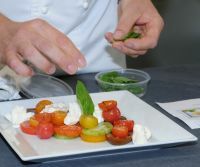 There is a cocktail party and gala dinner to ensure that networking can continue in a more informal atmosphere. Speakers Include Brian Humphries, President, European Business Aviation Association (EBAA); Phil Dykins, UK Department for Transport (DfT); Bo Redeborn, Eurocontrol; Steve Jones, Abu Dhabi Airports Company (ADAC); Charlie Bodnar, Euro Jet; Paul Walsingham, SG Finance; Mark Byrne, ICM Group; David Goldberg, QC; Stephen Creamer, Federal Aviation Authority (FAA) and Rod Arnold, British Antarctic Survey. 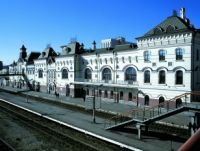 IHG first entered Russia in 1998 when it opened the Holiday Inn Vinogradovo in Moscow. Thirteen years later, IHG is expanding into regional centres and new fast-growing cities with well-established business communities and tourist attractions such as Samara, Ekaterinburg, Chelyabinsk, Novosibirsk. IHG currently has 16 properties across Russia and the CIS including 11 hotels in Russia. The plan is to have 100 hotels open by 2020. With bmi baby coming in with a new fares initiative (see 'bmi baby with ticketing innovation' in 12 September issue) rival Monarch Airlines has hit back with a scheme of its own which, it is claimed, will save customers 20% when booking flight extras. Called Monarch Air Packs there is a choice of two. 'Value Pack' offers pre-allocated standard seat, in-flight meal and on-line check-in available from £10.40 per person per flight. With 'Comfort Pack' customers gain extra legroom seating, once again an in-flight meal and on-line check-in. Prices start at £14.40 per person per flight depending on the route. Czech Airlines has introduced a four times weekly service between Prague and Abu Dhabi, breaking a recent tradition whereby the various airlines of the Gulf have made the pace with new routes. The airline envisages a variety of new travel options and connections via Prague to Central and Eastern Europe, and in the other direction has entered into a codeshare arrangement with Etihad Airways. A two-class Airbus A319 will be used for the service. The new route will bring the number of destinations served at Abu Dhabi International Airport to over 85 across more than 45 countries around the world. Minister for Transport, Theresa Villiers MP, joined Stobart Group CEO Andrew Tinkler, COO William Stobart and Stobart Air Managing Director Alastair Welch at Southend Airport week to officially open a brand new railway station. Operational since July the station is on the Southend Victoria to London Liverpool Street line, offering up to eight services to London per hour and taking passengers from the airport into the City of London in just 53 minutes, or to Stratford – venue for the Olympics in 2012 – in 44 minutes. The new railway station represents an investment of £16m by Stobart Group which includes a new terminal building, runway extension and realignment, and a new hotel. Running more or less parallel all developments should be completed early next year, well in time for the London Olympics, Southend the only airport with direct frequent train services to the main Olympic site. Landing time reservations for non-scheduled aircraft at some 40 designated airports, mainly in the south of England are now available from Airport Coordination Ltd for the London Olympics. 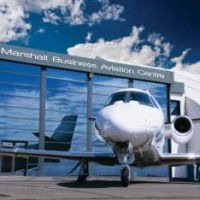 An anticipated 10,000 aircraft movements are anticipated in the period 21 July-15 August 2012. 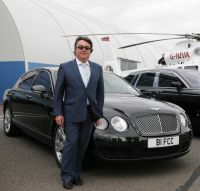 All parties, that is airport operators, charter companies and air taxi suppliers, seem to agree that the CAA, working in conjunction with the Department for Transport and the Home Office, have organised a practical and workmanlike scheme, with Airport Coordination Ltd managing the whole project. The big cause for concern is getting passengers from the airports to the actual Olympic sites. 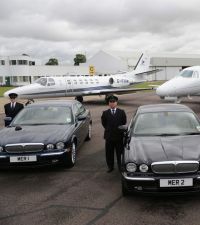 Competitors, diplomats and members of the “Olympic Family” will have special privileges regarding road transport (and the use of 4,500 chauffeur driven BMWs) but passengers on executive jets have no such rights. Ebbsfleet Station’s temporary heliport will enable passengers to transfer on the Javelin train to Stratford International in 11 minutes. Luton arrivals can take the service to St Pancras and then a seven-minute Javelin journey to the Olympic Park. Southend Airport offers a direct 44-minute rail link to Stratford. 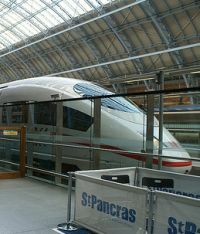 Following a successful test run through the Channel Tunnel to the Eurostar terminal at St Pancras, German rail operator Deutsche Bahn (DB) plans to start a full continental service sometime in 2013. New trains have been ordered. Using Brussels as the connecting point routing will be provided to Rotterdam/Amsterdam and also Cologne/Frankfurt. The initial plan of the German national rail network is to run three services a day to Brussels. 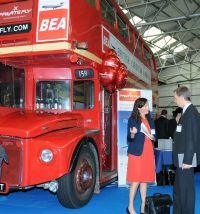 British Airways will make a number of changes to its Gatwick long haul schedule for the summer 2012 season. BA will increase from seven to 10 flights per week from Gatwick to Orlando but at the same time will reduce the Barbados service from 10 flights a week to seven. 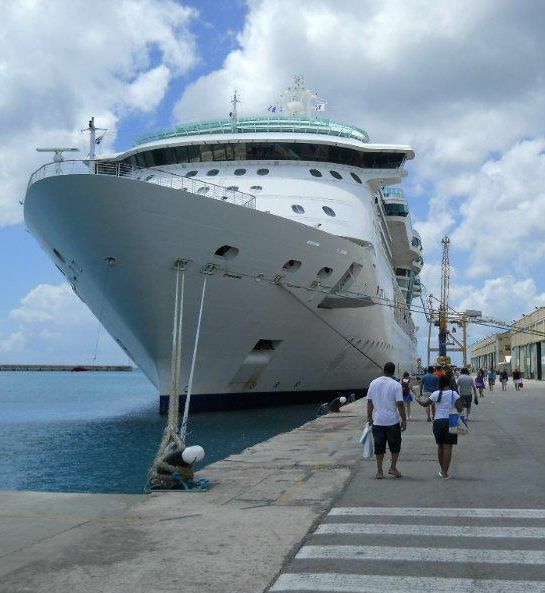 Out goes the twice weekly operation to Montego Bay in Jamaica. However services to the island’s capital Kingston will increase from two to three flights a week. Also gaining is Antigua which will be seven flights a week instead of the previous six. BA will reduce frequency on flights to Port of Spain (seven to six flights per week), Tobago (two to one flight per week), San Juan (two to one flight per week). Speaking to delegates at the Caribbean Tourism Organisation (CTO) annual conference in St Maarten, British Airways CEO, Keith Williams, said the UK Government’s tax regime was jeopardising routes to the Caribbean. Starting on 30 October Iberia's franchise partner for regional flights, Air Nostrum, will launch a daily non-stop flight between Manchester and Madrid competing head on with Ryanair. Unlike the Irish carrier Air Nostrum is a full service airline, passengers also gaining advantage of oneworld membership and British Airways affiliation. Flights will be operated by Bombardier 100-seat CRJ-1000 equipped with Air Nostrum's Business Class. 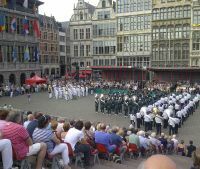 The timing of the flights are ideal for making connections with Iberia’s late evening departures to typically Johannesburg, and various South American cities including Buenos Aires, Lima, Montevideo, Santiago and Sao Paulo. 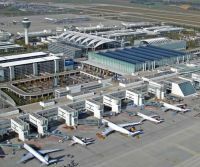 Planning permission has been given for Munich Airport to construct a third runway, which will be entirely funded by the airport operator. Special conditions were incorporated in the approval for the protection of the airport's neighbours and the surrounding region. Germany’s premier airport, Frankfurt, had previously gained agreement for a fourth runway, work on which should be completed this year. Berlin’s rejuvenated Schoenefeld Airport (Brandenburg International), due for completion late 2012, has only a single runway. 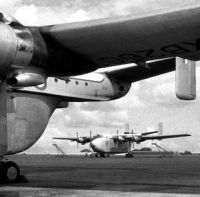 Seletar, Singapore’s largely forgotten original airport on the northern aspect of the island, has achieved a key milestone in an upgrading plan with the completion of its runway extension project. Measuring 1884m (6,000ft plus), close to 250 metres more than its original length, the extended runway allows it to support larger jet operations, as well as heavier take-off loads. Managed by Changi Airport Group (CAG), Seletar is positioning itself as a niche airport for business aviation, general aviation and maintenance, repair and overhaul (MRO) activities. Singapore has seen strong growth in the business aviation sector, with aircraft movements growing at a compounded annual growth rate of 17% from 2007 to 2010. The expansion in traffic at Seletar Airport is expected to continue in the coming years, driven by the increase in private jet usage in Asia, as well as the Singapore Government’s efforts to develop Seletar Aerospace Park into a leading-edge world-class aerospace facility. Guoman, the Hong Kong based leisure group, has previewed its impressive £20m refurbishment of the Grosvenor Hotel at London’s Victoria Station. The iconic Grade II-listed property, which opened in 1862, is currently being restored to its full splendour. Work is on course to be completed in January 2012, when the property will officially become the fifth hotel in Guoman’s London collection. During the course of the 18-month project Guoman has worked hand-in-hand with experts from English Heritage to lovingly preserve and revitalise the building’s original architectural features. This included the reinstatement of £100,000-worth of gold leaf on columns in the grand lobby and the uncovering of original white marble on the iconic pillars – discovered as the works progressed.